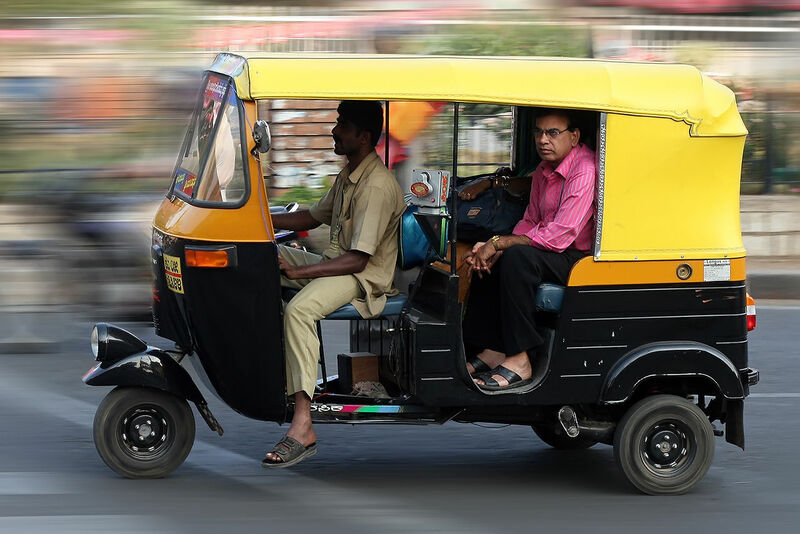 Bangalore traditionally has been the Mecca for autorickshaw drivers. Unlike other cities there was no hail-a-taxi, or human-powered vehicles to offer any competition. The public transport a centralized hub and spook design (all busses converging to Majestic) which is good for a small Tier-2 city that does not have enough people for a bus load full of Point-to-point solution. As a result the city center is jammed and dying, while the outskirts are booming. The metro service is a joke with no parking space the commuters near the station, feeder service for multi-modal transport for convenient long distance office commute. The frequent evening showers, strict policing around bars/pubs, huge female/immigrant/temporary/young population who are averse to investing into assets make it an ideal place for auto drivers. The streets are crowded and parking space is so difficult to have that most residents prefer not drive. The rentals of Rs 13/-per km are highest in the country and the strict licensing policy means that there is a perpetual demand of travellers and high occupancy. There are 1,40,000 registered autorichshaw plying in the streets everyday generating close to INR 10cr ($2mn)of revenue. Considering that the operating cost is the lowest amongst all mode of travels, most auto-richshaw drivers enjoy handsome profits. Recently the radio taxi service is giving them tough competition. TaxiForSure offers 4km ride for as low as 49/- and 14/- per km later obliterating the economic advantage of the underpowered, noisy, vibrating contraptions named auto. Not only the taxi service is more polite, reliable but they have real doors and windows to protect the riders from the street pollution and vagaries of environment. However it is not a simple question of economics or newer technology replacing the old. It is a question of better customer service prevailing. There are countless examples where monopolies benefit from favorable market situations. However those who take undue advantage of the situation are dethroned with a quick and merciless death. Good PR and courteous operations is the key for long term survival of business. has it ever worked? in the long term efficient system prevails. infact the new taxi guys have better technology & connectivity to answer to these man-handling.